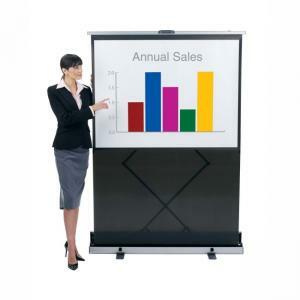 Quartet Euro Portable Cinema Projection Screen - 60" Height x 60"
Lightweight screen is ideal for on-the-go presentations. Use its sleek, durable carrying case to transport. Patented lift assist mechanism requires only one hand to set the screen. High-contrast screen material reflects bright images even at high viewing angles. 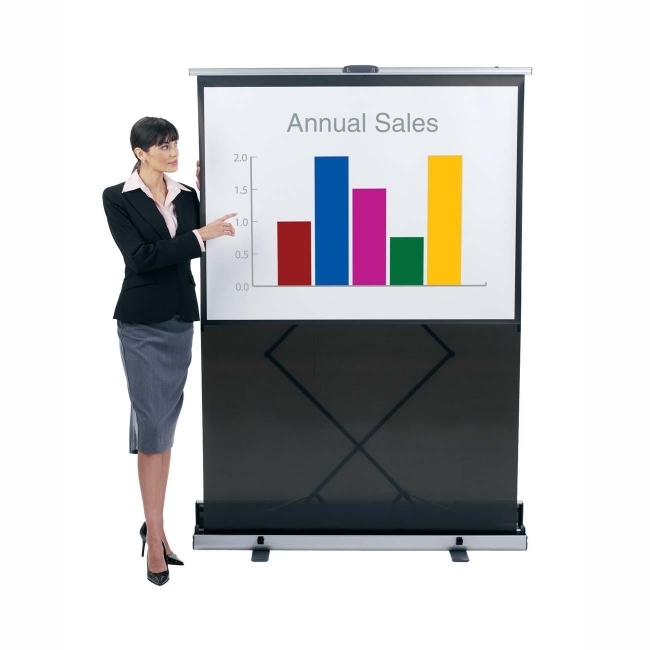 The ultra compact-size makes this screen great for road presentations. Locking feet add stability, and the height is adjustable with the touch of a finger. The carrying case allows for safe and convenient transport. Sturdy, locking feet hold the screen in place. $281Quartet Portable Tripod Projection Screen - 70" x 70"
$214Quartet Portable Tripod Projection Screen - 50" x 50"
$234Quartet Portable Tripod Projection Screen - 60" x 60"